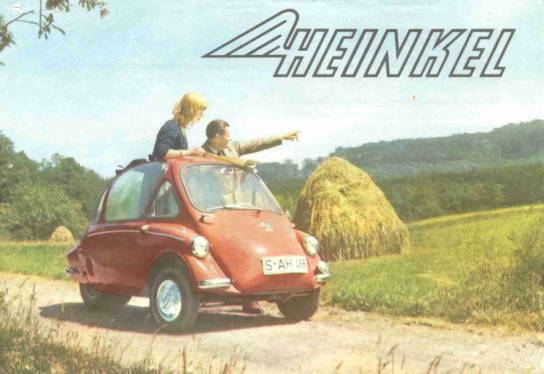 Please remember that all Heinkel Trojan Club Officers give their time for free and unlike many clubs our spares custodians are not paid any fees or commission. Please respect their privacy. If phoning do so at a reasonable time, never after 2100hrs or before 1000hrs local time and do not be offended if you are asked to ring back later. If a call is being returned then expect to be asked to ring back. Parts may be collected by prior arrangement. It is not acceptable to just turn up!! 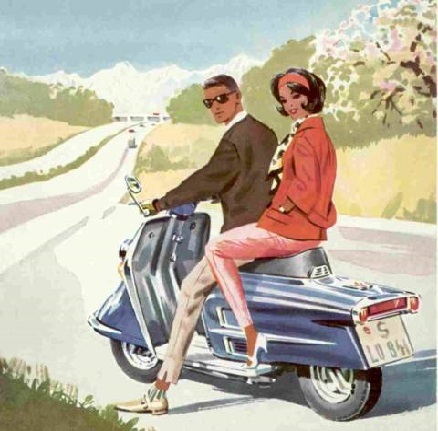 Because there are relatively few scooters owned by Club members and significant differences between models it has been decided not to stock the full range of scooter spares. 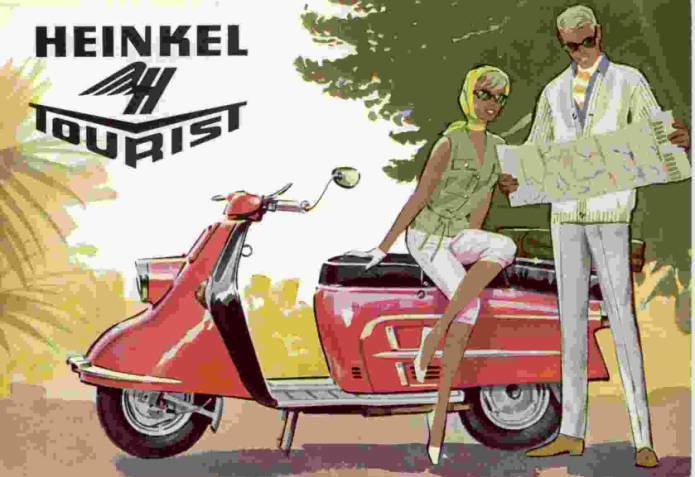 Members with scooters will be advised where parts the Club does not stock can be obtained from in Germany, where there are still a large number of Heinkel scooters on the road and parts supply is very good, if sometimes a little expensive. The Club will assist members wherever possible, including ordering parts for them. The Club still has a large quantity of scooter spares which are held by Alan Fisher. The part numbers for cars are based on the first section of the Trojan Parts List (Type 150 B-0, 174cc 3 wheeler) as reprinted by the Club. (Note: in the A4 reprint with the yellow cover some of the part descriptions follow the plate and are not opposite it, as in the original.) 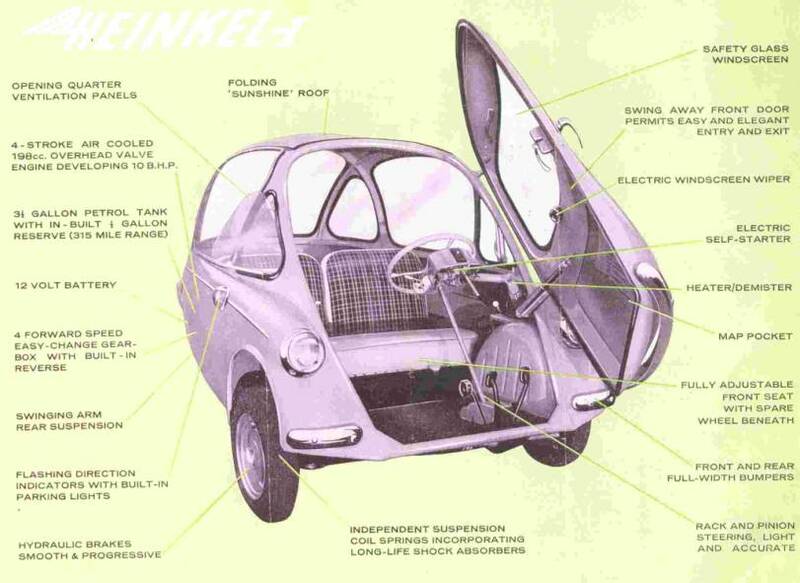 The specification of the cars remained remarkably constant throughout production. The exceptions are early Heinkels with features such as rod gear change and three wheel hand brake and late Trojans, where what ever was available and would do was fitted. The fourth section of the part number describes the vehicle types the part fits. UD = Used, second-hand parts. Finally, there are two additional categories; ‘Tools’ and ‘Publications & Regalia’. Parts and Merchandise can only be supplied to members, or their agents. All goods are supplied on the basis of the terms of trade ruling at the time of despatch. The Club’s current terms of trade are available from the Company Secretary, please enclose stamped addressed envelope. There is still a quantity of unsorted spares, mainly small items, for both cars and scooters, which were salvaged from the flood. Garry Longstaff has the unsorted second-hand spares, these are mainly mechanical parts, and there are no bumpers or shiny trim bits!! Please contact Nick or Garry if the part you are looking for is not listed. All parts listed, except where marked “Enquire” are in stock at the time of preparation of this list. As stock is sold the Club will endeavour to find replacements but ‘out of stock’ situations may well occur so check availability before dismantling! Information of new part development is reported in the Cruiser News Letter. Whilst every effort has been made to ensure that the parts list is accurate it is inevitable that there will be mistakes, for which we apologise. Please do let us know so that they can be corrected for future editions. All information is provided in good faith but the Club does not accept any responsibility for, or the consequences of, any errors or omissions. The latest Price List and Order Form are available to members only by signing onto the Members Only area.